In the 1920s and 30s a Scottish shepherd grazed his sheep in Hyde Park. 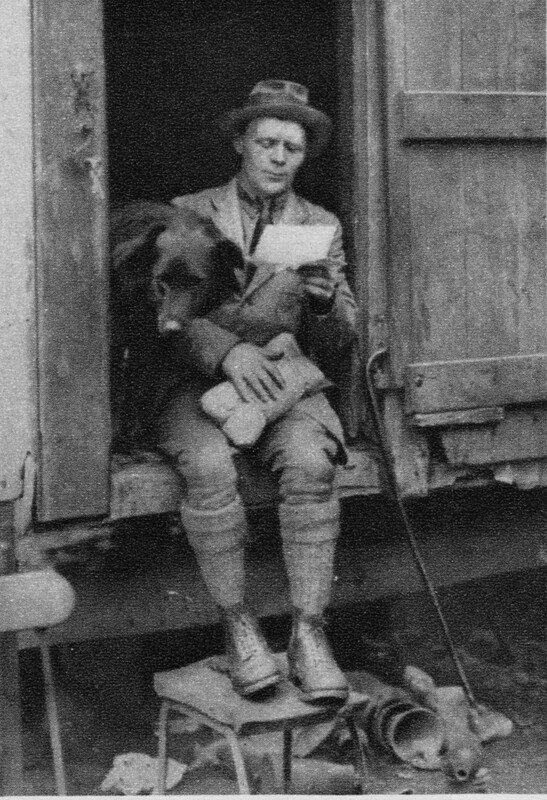 George Donald travelled down each year from Aberdeen together with his dog and his flock. The park authorities had introduced grazing sheep to reduce the costs of mowing and not just at Hyde Park but at Clapham Common and Hampstead Heath as well. Mr Donald moved his flock from one fresh pasture to the other throughout the spring and summer. 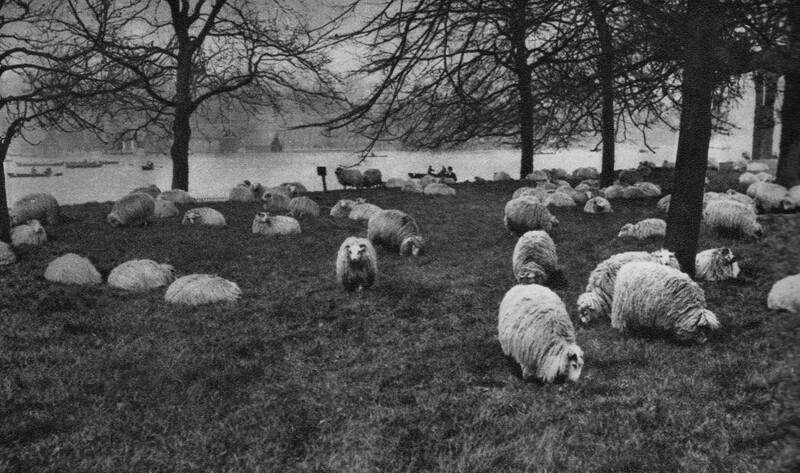 Here are his sheep grazing on the banks of The Serpentine. asked the First Commissioner of Works if his attention has been drawn to the statement that the flock of sheep at present feeding in Hyde Park has been brought with their shepherd from Aberdeen; and whether, in view of the present difficulties of transport, he can explain why this arrangement was made? replied: "The grazing of Hyde Park is the subject of a 1114 contract which was entered into, after tenders has been invited last January, with Scottish graziers, to whom the sheep belong. Under the conditions of the contract, no powers are reserved to specify the places from which the sheep or the shepherds come." chipped in: "Were not any English sheep available?" opined: "Is it not due to the fact that the Aberdeenshire-sheep are far better?" Scottish sheep or otherwise, I wonder if such an idyllic scene could be recreated economically today?